Sapa Stone Church has been nominated by the Vietnam Records Book Centre (VietKings) as one of the top five over 100-year-old churches in Vietnam. It is introduced as a unique and attractive spiritual tourism destination. Located in downtown Sa Pa, with Ham Rong Mountain behind, this Roman Gothic architecture church was built with distinct pyramid rooftop, belfry, and arches. Covering 6,000sq.m, the stone church includes 7 compartments, a 20m belfry with a 1.5-meter bell, weighing 500 kilograms. 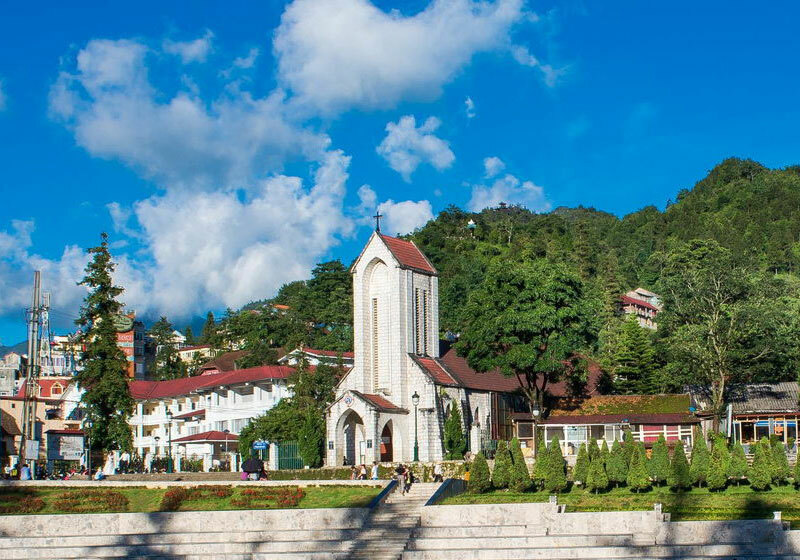 Short Description: The ancient church is known as stone church or the Holy Rosary church which is located in the heart of Sapa town built by the French from the early 20th century. Before starting to build this structure, the French architect selected carefully about the terrain.